3 Dead, 7 Injured In Shooting At Louisiana Movie Theater : The Two-Way The shooter was a 58-year-old "lone white male" who was armed with a handgun, police said during a press conference late Thursday. At least three people remain in critical condition. 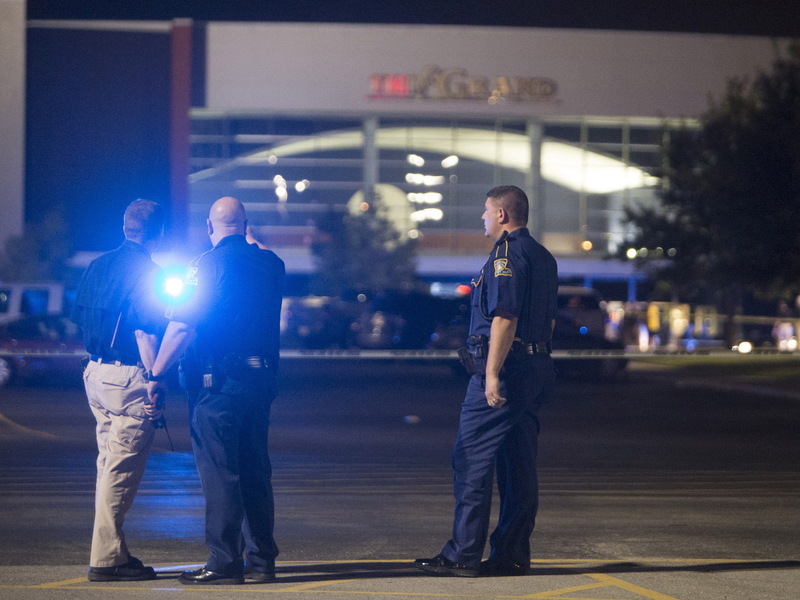 Officials stand by the scene outside a movie theater where a man opened fire on filmgoers Thursday in Lafayette, La. At least two were fatally wounded and seven others injured before the gunman killed himself. Lafayette, La., Police Chief Jim Craft said a gunman opened fire in a movie theater during a Thursday night screening of Trainwreck. Craft said the gunman killed two people and wounded seven others before shooting and killing himself. At least three of the wounded remain in critical condition. Police said they have identified the shooter but are not yet releasing his name. He was described as a 58-year-old white male armed with a handgun. 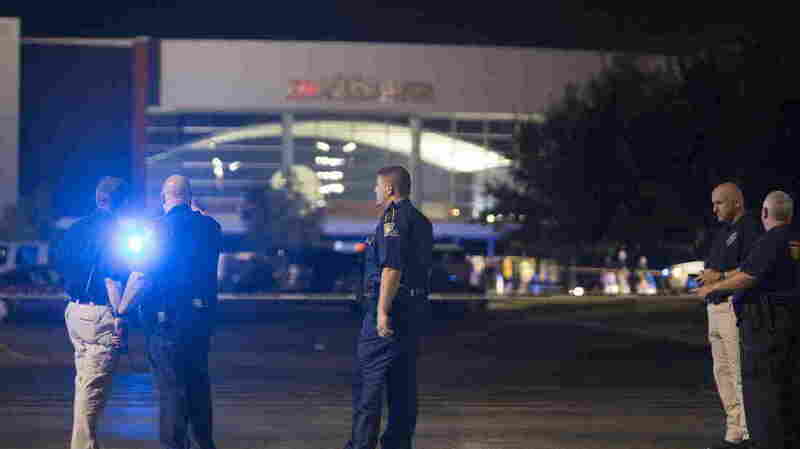 Law enforcement officials said the gunman was attending the movie alone. Col. Mike Edmonson of the Louisiana State Police said the man's car was identified, and police saw something "suspicious" inside the car. Edmonson said a bomb-sniffing dog "hit on three different locations" inside the car and the bomb squad was summoned. Officials described a chaotic scene at the theater, which had about 100 patrons inside at the time of the shooting. The writer and co-star of the film, Amy Schumer, tweeted: "My heart is broken and all my thoughts and prayers are with everyone in Louisiana."